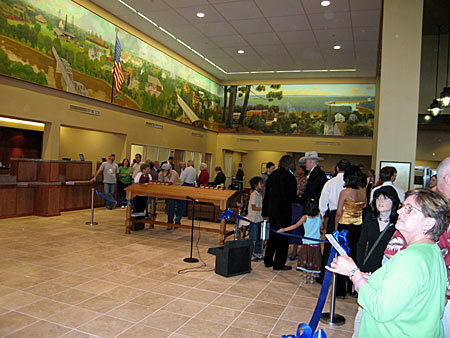 The First National Bank of Bastrop, which is the oldest and largest independent financial institution in Bastrop County, had its Open House at its new home at 489 Highway 71 West on Sunday, March 19, 2006. 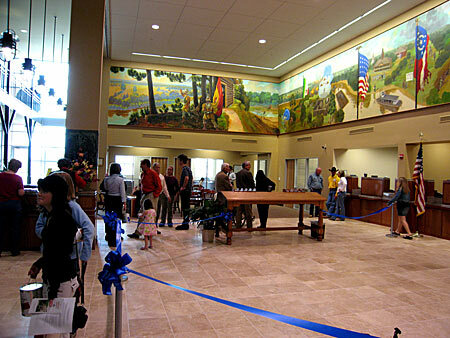 The new headquarters has a magnificent Bastrop History Mural painted by Lee Jamison. 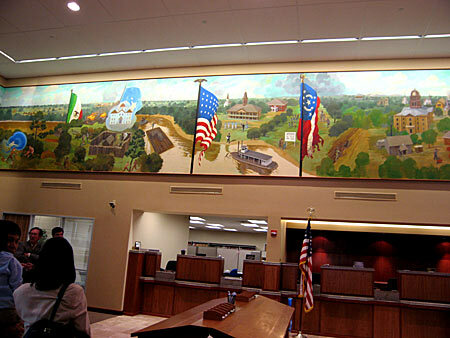 It is divided into three Mural panels: the left panel covers Bastrop's early history; the Center panel covers Bastrop's early settlement to the present; and the right panel covers Bastrop's hopeful future. 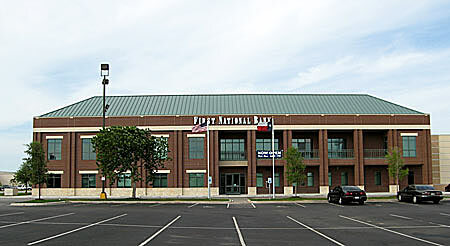 View of the new headquarters of the First National Bank of Bastrop. 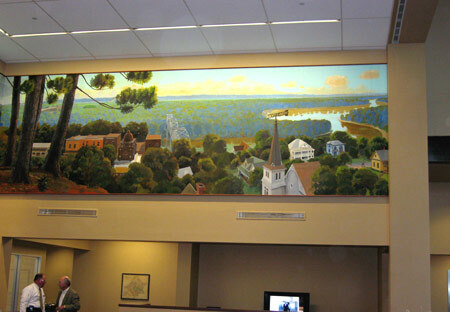 department and a partial view of the central panel of the Bastrop History Mural. panel and a portion of the central panel of the Mural is shown. by Lee Jamison, and below a portion of the right lobby. Looking to the right we see another view of the center and right mural panels. 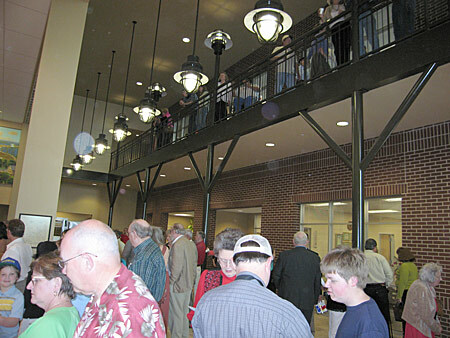 The 2nd floor offices and Community Room of the bank's new headquarters. 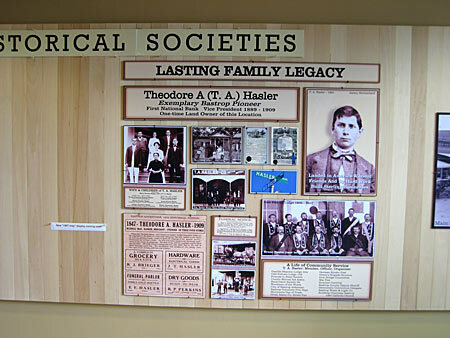 County have provided information on the early history of our county.